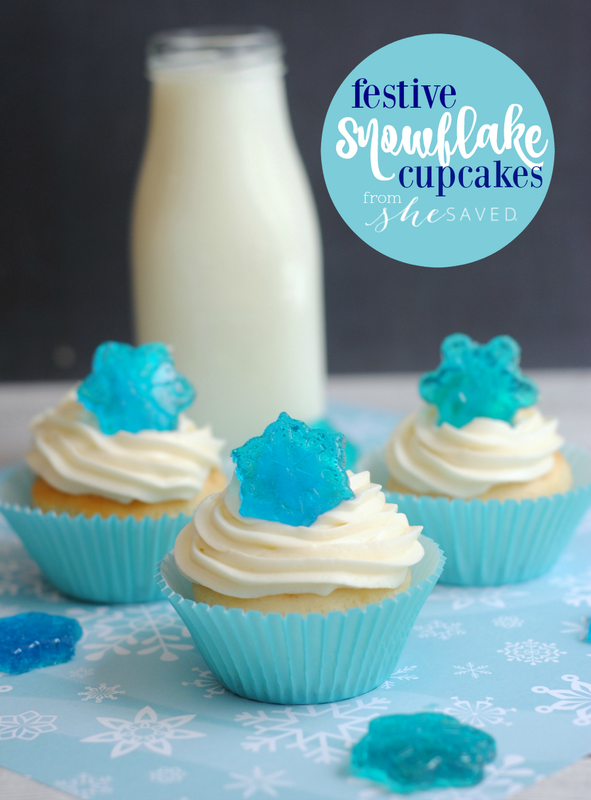 Made with melted Jolly Ranchers, these fun Festive Blue Snowflake Candy Cupcakes will be a hit at any holiday party and I love how classic they look! You can either make the cupcakes or cheat a little (I won’t tell!) and buy them pre-made and add the candy accents. 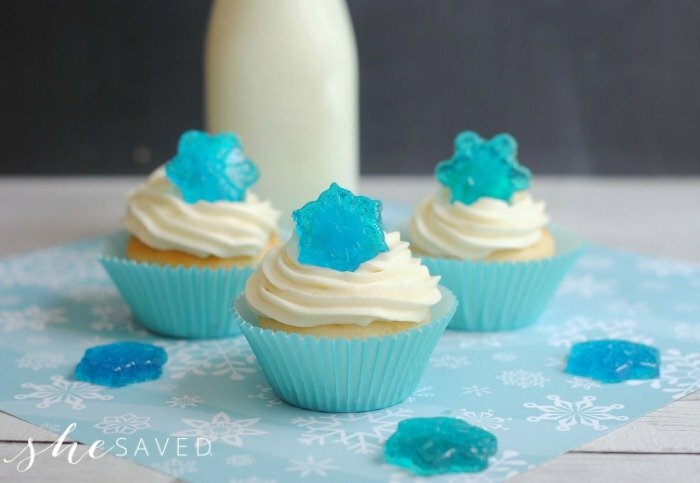 These would be so fun for a Disney themed FROZEN party and they would also make a nice additional to a classroom party or event. 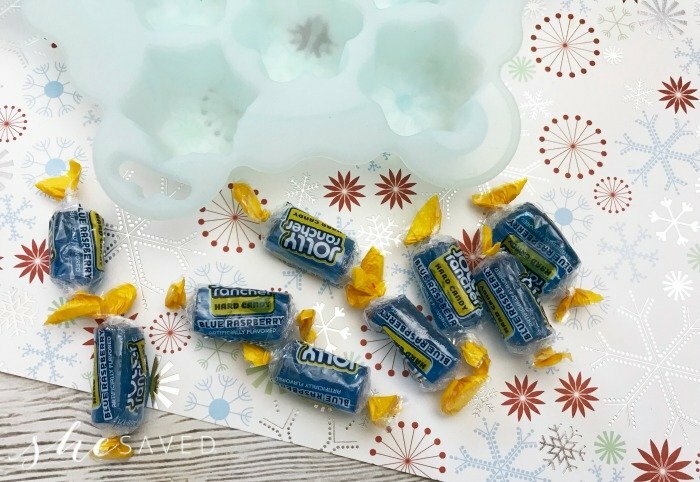 My daughter loves to help me with melting Jolly Rancher candies, and you could even use these for cake decorations too! 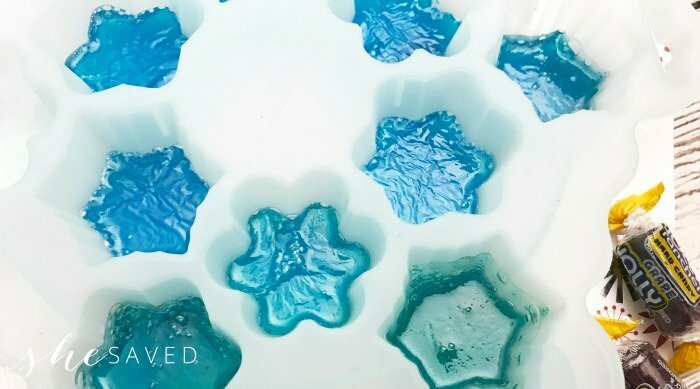 For the candy making part, all you will need are BLUE Jolly Ranchers and a silicone snowflake mold. Open the blue Jolly Ranchers and discard the wrappers. Place 2 wrappers in each silicone snowflake mold. 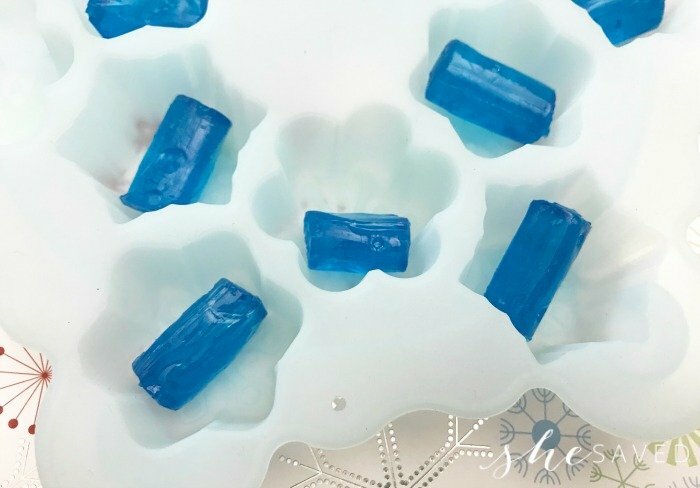 Place the silicone mold on the baking sheet and bake in the oven for 10-15 or until the Jolly Ranchers are completely melted. 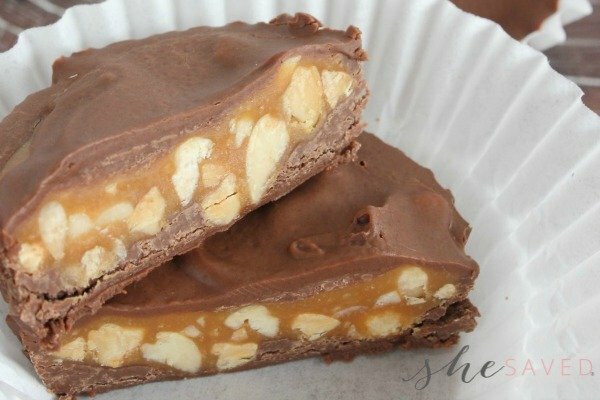 Once the candies have cooled and hardened, gently pop them out of the silicone mold. Combine the granulated sugar, melted butter, eggs, vanilla extract, flour, baking powder and milk. 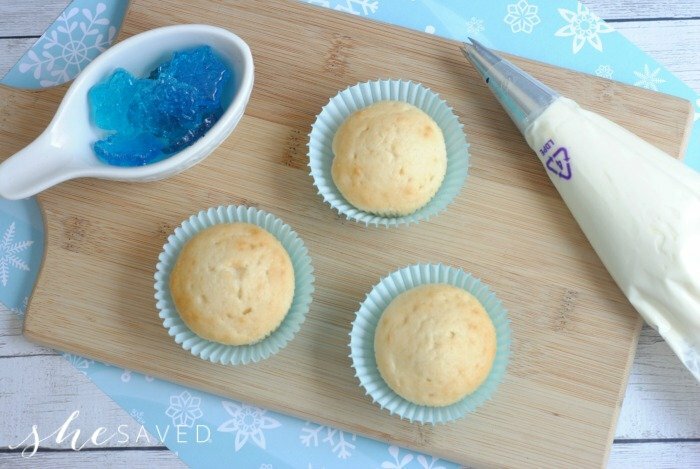 Scoop the cupcake batter into the muffin tins filling each about 3/4 full. 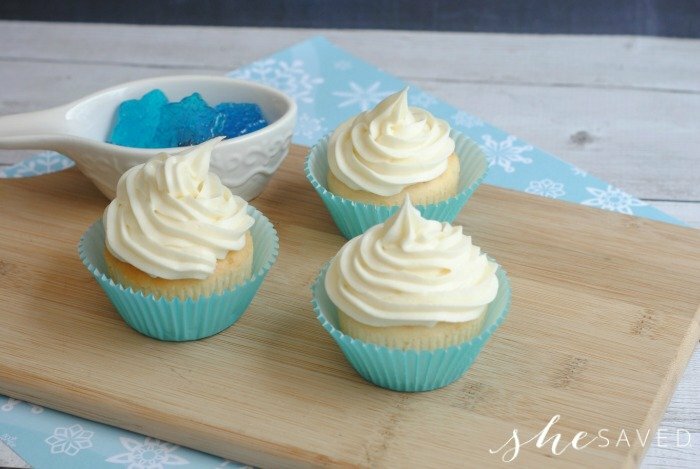 Gently squeeze the frosting out of the bag and onto each cupcake in a circular motion. Top with a blue candy star.